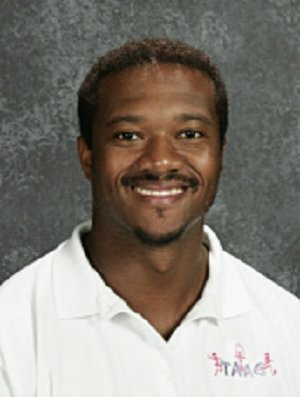 My name is Tyrone Evans and I have been a teacher at Maplewood Middle School for 21 years. I love athletics and think every student needs a good foundation in fitness for life. Please feel free to contact me with any questions or concerns you may have. This years grading policy will come from standards based off of The National Association For Sport and Physical Education. Me and my colleagues all follow the same grading procedure which is based off of the National Standards. We use a 10 point daily philosophy which coincides with each of the six standards. The break down of points per day that align with each standard is 1, 1, 3, 3 1,1(example; standard 3 is worth 3 points daily if the student can demonstrate it on a daily basis). Please take a look at the course syllabus which discuss these standards. Each unit is about 8 to 10 days long which means that your son or daughter has a chance to get 80 to 100 points based on our grading system. Our first unit is Flag Football for 7th grade and 8th grade. If you check campus after the first month (because of every other day) you should see a number that your son or daughter achieved based on the standards out of 80 to 100. It will also show you their percent for p.e. at that time. My 8th graders are required to have 30 days of health as well this year. We are scheduled to be in the health room around Dec. 5th. If your son or daughter is absent, they can make it up by doing a 45 minute activity outside of school and having you sign off on it. You can use paper from home, e-mail me, or we have a form in the men's and women's p.e. office. Keep in mind that in order to get the 10 points they missed for that day they were absent, they have to do the make up. Other wise they are out of those 10 points which can bring you down in your grade quickly. The make up sheet is below highlighted in blue ready to print! Whats New! We also start swimming much earlier this year which will be on November 2nd and ends on December 4th. I will send an email to all of you as we get closer to the swim date.